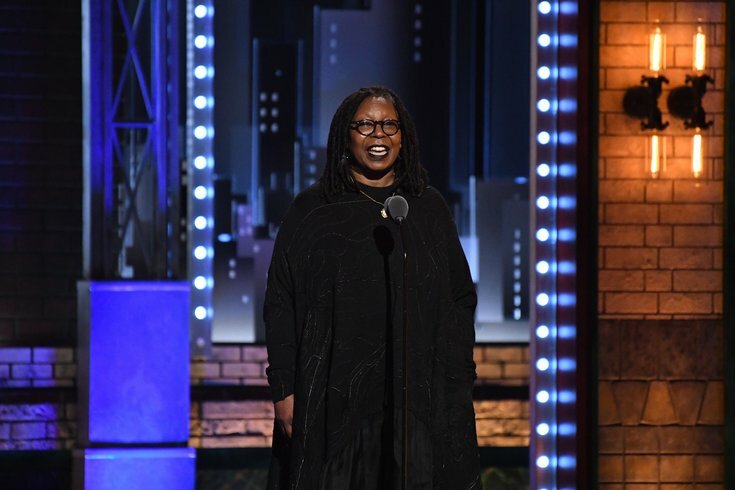 Whoopi Goldberg introduces the performance by the cast of Falsettos at the 71st TONY Awards at Radio City Music Hall. Whoopi Goldberg spends a lot of time in Atlantic City, and thinks you should too. Along with her fellow hosts of "The View," the 62-year-old EGOT winner and Manhattan native discussed where she vacationed while the show was on a week-long break. Goldberg spent her time off in A.C., and shouted out the Jersey Shore town, which is in the midst of rebranding itself after the shuttering of several casinos in the past few years. "I spend a lot of time in Atlantic City," Goldberg said. "Most people don't realize that Atlantic City is up and running. There's a lot going on down there." Goldberg touted the African American Heritage Museum of Southern New Jersey as a closer option for some, rather than traveling to Washington, D.C., to see the National Museum of African American History and Culture. "There is a lot going on in Atlantic City," she continued. "It's closer, and you can take your family, and there's a lot of stuff to get done. So, I went and got my mind kind of blown, because I thought nothing was going on. There's a lot going on." Atlantic City's struggles, particularly the decline of the gambling scene as casinos have popped up in nearby Pennsylvania and elsewhere, have been well documented. However, the resort town has made strides in attracting visitors with other events, such as concerts and nightlife options.